When planning your Bahamas wedding music, the question is often how many songs to choose for your ceremony. Typically a ceremony runs 15 to 20 minutes based on whether it’s conducted by a Justice of the Peace or an Ordained Minister; music is required for various aspects of your event. Popular music live music choices are a violinist who may also be accompanied by a pianist to create a rich sound, classical trio or quartet and steel pan duo. You may also have an ensemble to sing you down the aisle. 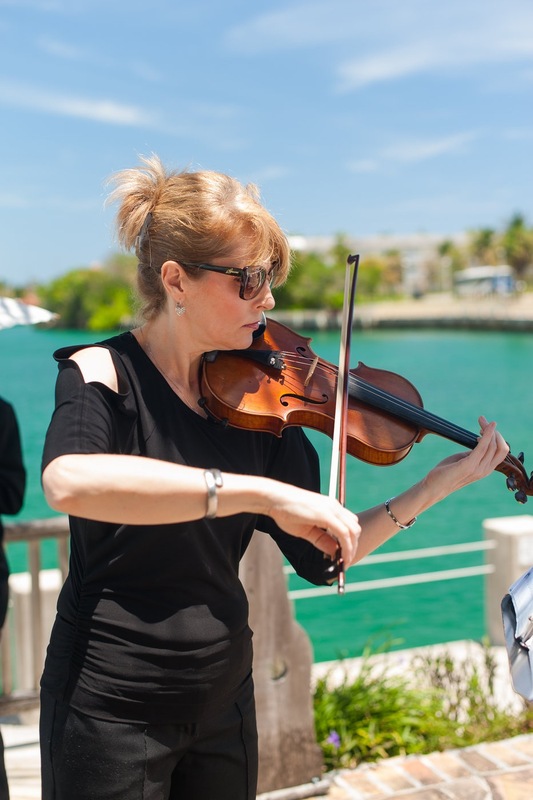 Violinist Eva Ratuszynski has played for many of our Bahama weddings and writes music for violin for special selections not included on her repertoire. You will require five musical choices for prelude, pieces for the processional of parents, bridal party and the bride. Thereafter, music is required for the signing of the register and recessional. Should any of the music fall short, our musicians are always able to select and play suitable pieces in keeping with the repertoire. Steelpan player David Hoyte. 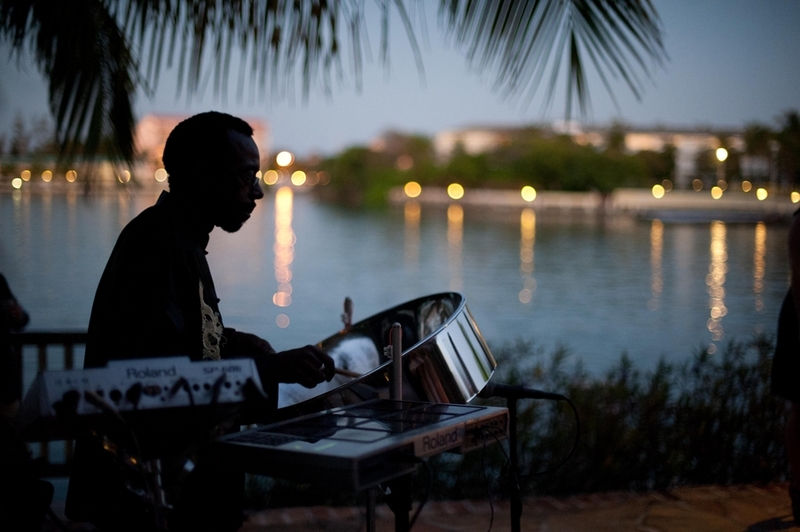 Couples often choose steelpan music for a cocktail hour. 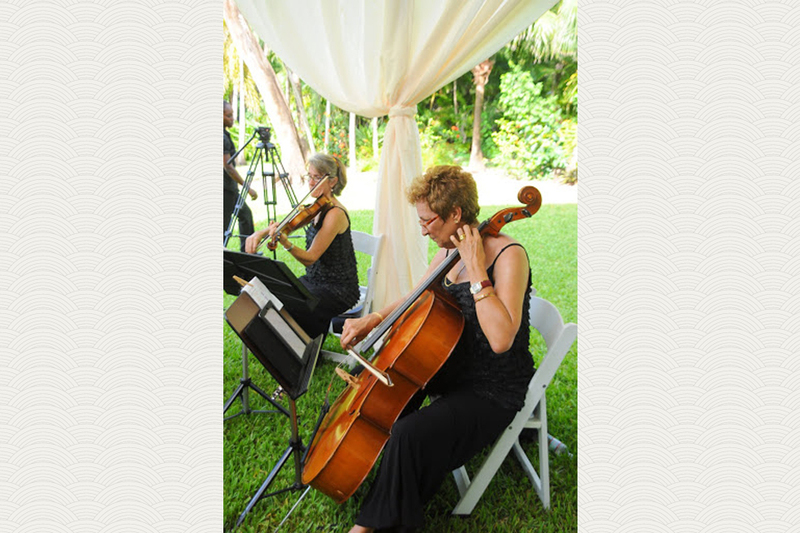 Musicians are professionals who have played in orchestras in Europe and Canada as well as performed throughout the Bahamas. Music is not amplified at beach, gazebo or garden settings. Sound is very good.